Experience a beautiful coastal walk around Trevose Head, a magnificent stretch of coast in North Cornwall and join us for a BBQ on the beach and sandcastle competition! The grand finale of Seaside Walk Week is definitely not one to be missed! We will be heading over to North Cornwall and the beautiful National Trust owned Trevose Head where our friends at Mother Ivey’s Bay Holiday Park will be kindly hosting the walk. It takes place on Sunday 30 July. The walks will proceed at a gentle pace with frequent stops and there will be the option of a short (40 minutes) and longer walk (approx 1 hour 30 minutes) and will start from Mother Ivey’s Bay Holiday Park where refreshments will be available for purchase from Wadebridge Foodbank. Have a look at the map of the route here. It’s a fantastic event for family and friends of all ages so make the most of the seaside this summer and join us for a fantastic day out on Sunday 30 July. 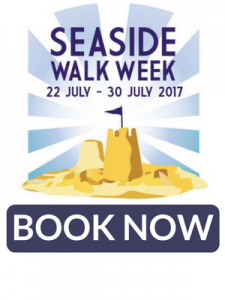 Tickets for the guided coastal walk cost just £2.50 for children and £10.00 for adults which includes your very own seaside walking pack including a sunhat, activity sheets and stickers. It’s going to be bucket loads of fun! Book your place now. All income made from walker registration will be split between the Family Holiday Association and the National Trust. Funds raised for the Family Holiday Association go towards sending more struggling families away on breaks to provide relief from some of life’s hardest challenges and help create happy memories that will last a lifetime. If you can’t make it to our Scarborough walk, why not have a look at the walking trails on offer in your area and plan your own. Or have a peek at our two other official events on offer with a walk in Scarborough and the Thames Treasure Trail in London. 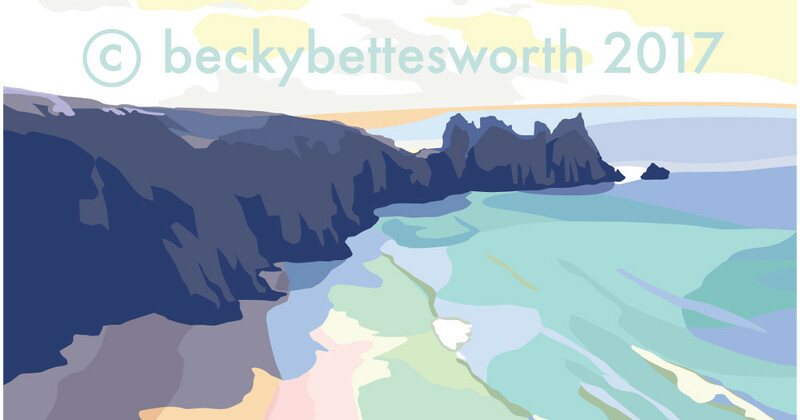 Our thanks to Devon artist Becky Bettesworth who has kindly given us permission to use her stunning poster image to promote our North Cornwall walk. And our thanks to Mother Ivey’s Bay Holiday Park, the National Trust and Wadebridge Foodbank without whom the walk would not be possible.